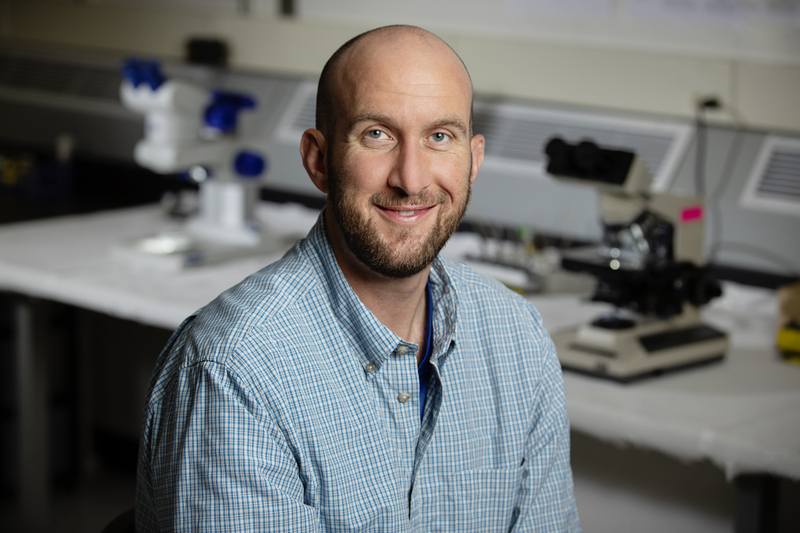 Entomology professor Brian Allan and his colleagues at Bard College found that livestock and wildlife in central Kenya sometimes benefit from sharing territory. 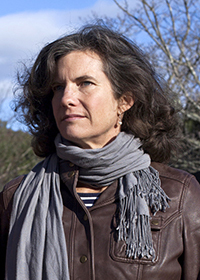 Felicia Keesing, of Bard College, led a new study of wildlife-livestock interactions on the savannas of central Kenya. 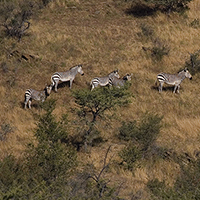 CHAMPAIGN, Ill. — A study of 3,588 square kilometers of privately owned land in central Kenya offers evidence that humans and their livestock can, in the right circumstances, share territory with zebras, giraffes, elephants and other wild mammals – to the benefit of all. 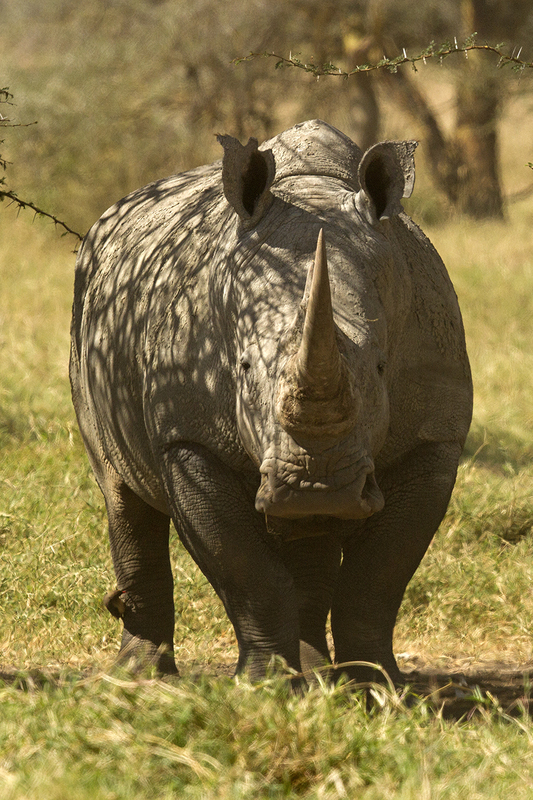 A new study finds evidence that livestock and wild mammals sometimes benefit from grazing on the same lands in central Kenya. 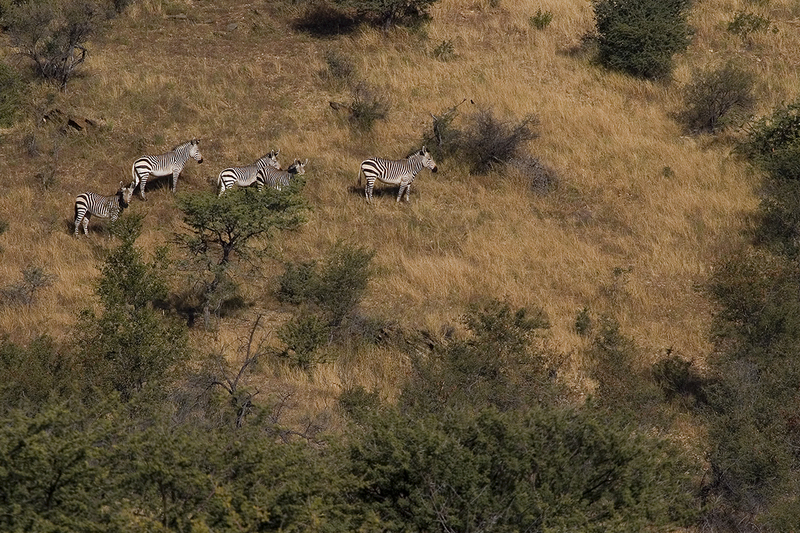 Central Kenya hosts Grevy’s zebras and other unusual species that draw tourists. About 16 percent of the ticks collected on the study sites carried at least one bacterial or protozoal infection, the scientists found. There was no difference in the proportion of infected ticks found on properties devoted entirely to wildlife and those where wildlife and livestock were integrated. Tick abundance, however, was 75 percent lower on integrated properties than on those hosting only wildlife. There was less green grass on livestock-only and wildlife-only properties than on land shared by both, the researchers found. The quality of the forage also was highest on integrated lands. 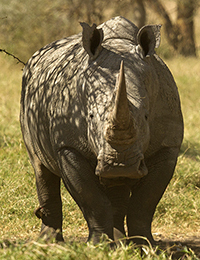 Tourists travel to the study area to see exotic animals, like this white rhino. These findings suggest that certain management practices can enhance the viability of livestock operations while also maximizing wildlife abundance and health on the same lands, the researchers said. To reach Brian Allan, call 217-244-1341; email ballan@illinois.edu. To reach Felicia Keesing, call 845-752-2331; email keesing@bard.edu. 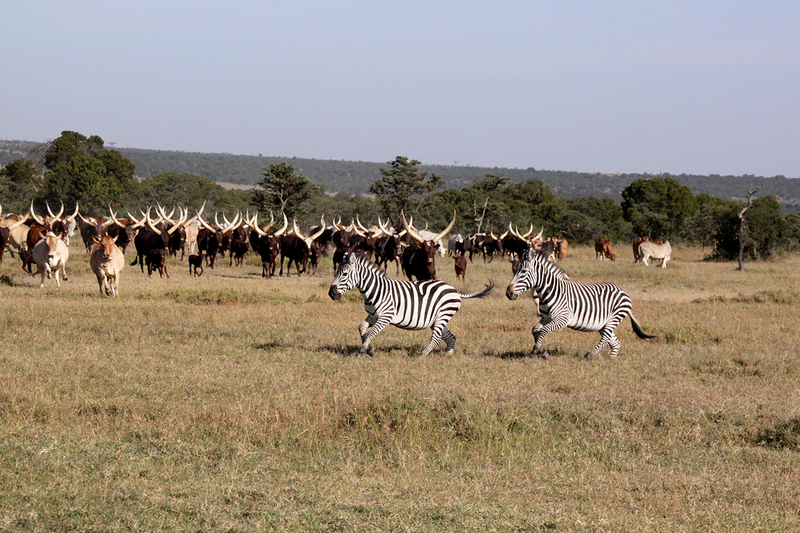 The paper “Consequences of integrating livestock and wildlife in an African savanna” is available online and from the U. of I. News Bureau.